Back in 2000 Burger King made these cute little plastic Game Boy Color toys with analog games built-in. 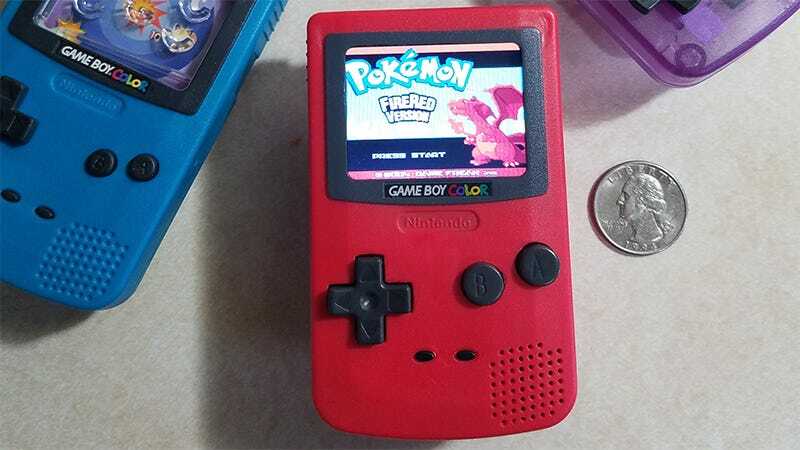 Now someone’s taken one of those toys, crammed a Raspberry Pi Zero into it and turned it into a working Game Boy Color (and more) emulator. Redditor ChaseLambeth had been working on a similar project for months when he came across an Instagram user who had managed to get three of the units up and running and was willing to sell one for $250. The unit uses a two inch LCD screen and an emulator called RetroPie. Technically it can run games other than Game Boy Color (and Game Boy Advance) titles, but with this profile it just wouldn’t feel right. The buttons work. The sound works. Plus it’s adorable. Check out ChaseLambeth’s imgur gallery for a closer look at this magical little thing.